A rendering of my robot's drive assembly -- the motors, gearboxes, wheels, and the ball it balances on are pictured. 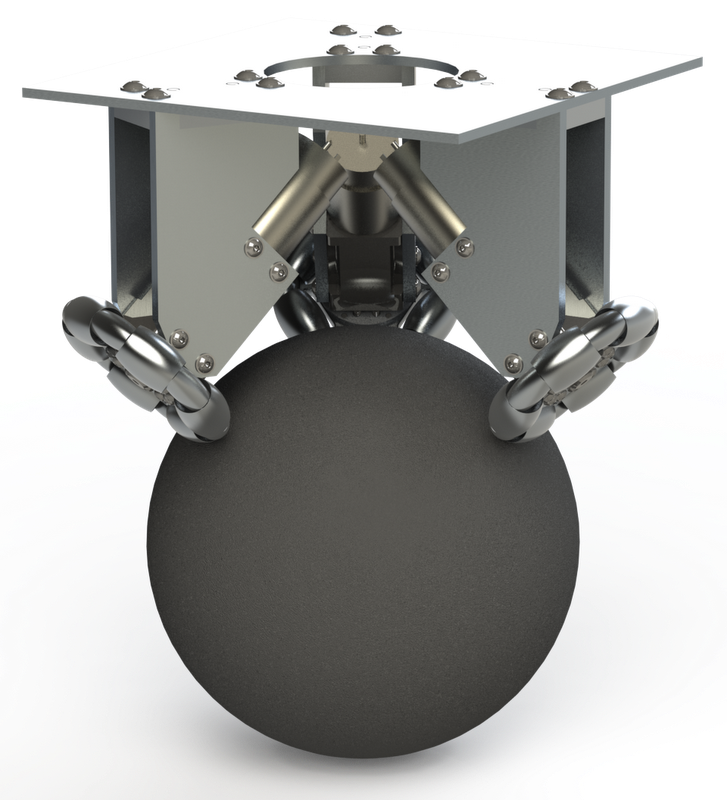 The robot is not statically stable -- there is no orientation for the robot to sit on the ball so that it stays balanced without any movement of the wheels on the ball. It is therefore necessary for the 'bot to have some complicated electronics to stay balanced. 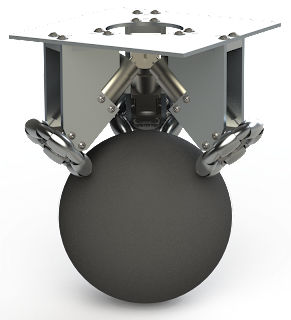 It needs an Inertial Measurement Unit (IMU) with some gyroscopes and accelerometers on it to compute its current angle and speed relative to the ground, and it has to move the wheels according to a control system so that the ball remains under the robot (to stay balanced) or slightly off-center so that the robot moves. I'm going to stop talking about the control system because I haven't really put much more thought into it beyond the preceding two paragraphs (OK, I have, but I don't want to look like an idiot on the internet). 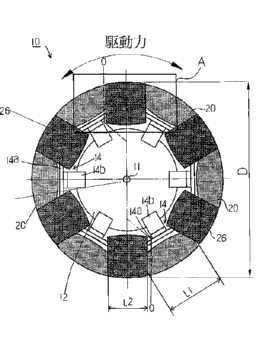 A typical omniwheel design has rollers on the wheel that allow for lateral movement -- when the wheel moves through the axis of rotation, the small roller it is resting on spins. Japanese Patent Publication # 2001-191704. The magic here is that the contact surface is continuous -- when you look at the wheel from the top down view (as seen here), it looks like a perfect circle. 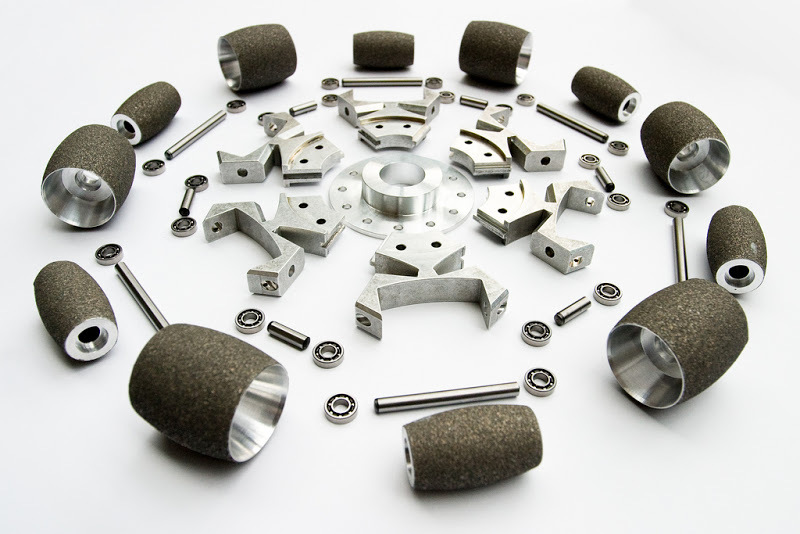 The Swiss ReZero robot wheel assembly. A Solidworks screencap of our wheel. Three of the rollers are transparent to display more detail about the inside of the wheel. We've already started manufacturing the wheels; I'll put up more pictures as the construction progresses. Is there a specific kit that you can buy to make the omniwheels? I am part of an electrical engineering senior design team that is trying to design a balance ballbot and we can't find these types of wheels anywhere. Do you have some specification of these wheels? I would need it with outer diameter cca 100mm, made of metal, with bearings. Hello, can you please provide me with the CAD model of your ball bot, or at least give me some guidance regarding the omniwheel and ball constraints as given by you in the final assembly.